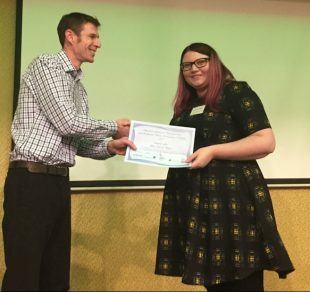 NDA Research Manager Yvonne Morris looks back on a conference that attracted more than 100 people to share ideas and progress on the latest research activities in nuclear decommissioning. 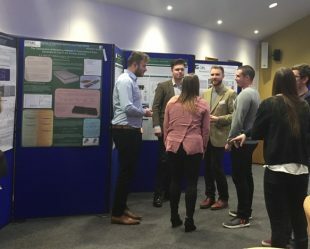 The annual Nuclear Frontiers conference has taken place for the last six years and this was the best turn-out yet, with 111 researchers and academics from all over the UK. Although the Nuclear Waste Decommissioning and Research Forum (NWDRF), which organised the day, in Leeds, was set up by the NDA to support its own research activities, we’re keen to embrace ideas from across all industries. So this event was open to everyone, it was free to attend, and we were aiming to attract people from a range of different organisations, especially those beyond our estate and from universities or institutions that are not, at the moment, directly involved with our work. This is one of the reasons why the NWDRF is co-chaired: we currently have one representative from the NDA estate and another from an external organisation – at the moment, it’s EDF. This allows us to tap into a much broader range of expertise. In fact, it was Mike James from Sellafield, our long-standing co-chair, who came up with the original proposal for this conference and who has worked hard to make it successful. The conference itself was an information-packed day, with 13 presentations and 20 posters, all on different topics such as characterisation techniques, simulations of fuel aging, decontamination and waste treatment technologies. It was good to see the level of collaboration on projects, for example, between sites, universities and the supply chain. And there were a number of presentations on how fundamental, early-stage research has progressed to the level of trials at a site: these are both priority issues for the direction of our research. Also, I was pleased to hear some of the Sellafield presentations setting research issues into the overall context of the site and its challenges, encouraging researchers and technology users to make sure they are aware of each other’s needs. There was, all in all, a fantastic buzz about the dialogue taking place and an impressively diverse array of technologies highlighted during the day. I was already aware of many of the developments taking place but some were new to me, so again, that was really valuable. Among the developments were some projects that the NDA had funded jointly with Innovate UK at at the concept stage a few years ago, which had now progressed further along the path to deployment. Again, it was fantastic to follow their journey. We are always keen to encourage organisations, including suppliers, to understand our needs and become involved in helping to provide solutions. There is a huge amount of expertise that can help with our mission – and we’d like to hear from them. 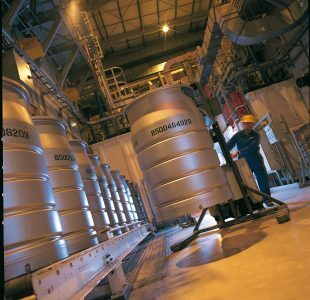 The Nuclear Waste and Decommissioning Research Forum is a cross-industry group that aims to enhance co-ordination of R&D and technical programmes across UK site restoration and integrated waste management activities. Its membership includes representatives from NDA, Radioactive Waste Management (RWM), Site Licence Companies, regulators and organisations with significant nuclear decommissioning liabilities. If you or your organisation is interested in how NDA research is funded and how to get involved, check out the relevant section of the website. Support is also available via Innovate UK who run regular competitions to allocate funding to projects that are aligned to specific UK industry challenges. If you are interested in finding out about next year's event, follow NDA on Twitter and LinkedIn, or subscribe to our stakeholder newsletter.